Torbay’s independent consumer champion for health & social care Healthwatch Torbay have today released a report highlighting concerns from the public regarding the ‘deterioration’ in the quality of social care provided at home in Torbay. The report is centred on the organisation and delivery of care in the Torquay area by Mears Care Ltd., who manage the provision of home care for people living in Torbay and ‘Living Well@Home’ home care services. It collectively brings together a number of separate concerns from users of the service, their family members and their Home Care workers. “Clients not knowing who will visit and at what time. Care workers always seem rushed and not always prepared or provided with adequate client information. Clients having to instruct care workers what is required during their visits. Inexperienced and inadequately trained care workers unable to undertake basic tasks effectively. Lack of understanding in administering medication at the correct times. Clients at risk due to minimal reference to Clients’ Care Plans. Clients’ and family members’ concerns not being listened to. In the report, Healthwatch Torbay recommend a reassurance of a commitment to act from both Mears Care Ltd and from Commissioners; an audit of the compliance with NICE guidance relevant to the issues raised; a formal letter of concern and intended agreed action sent to all Service Users and Home Care workers; and for a follow-up review to ensure the recommendations and actions have led to a positive outcome for clients and Carers. 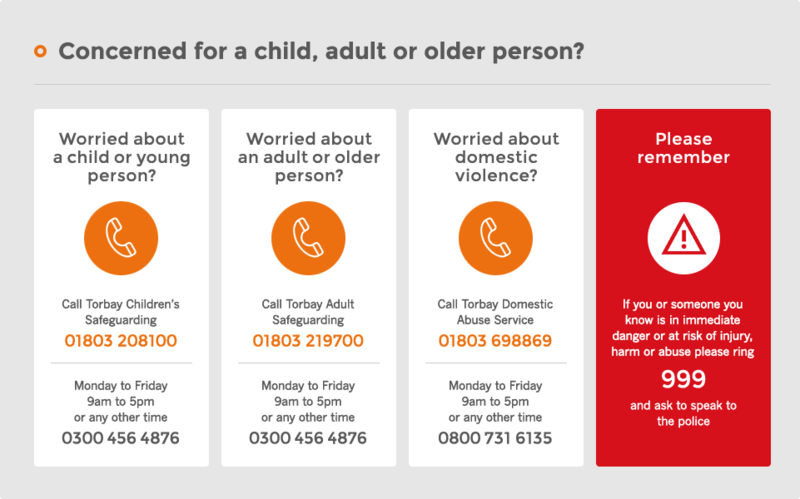 Torbay residents can share their local health and social care experiences by calling Healthwatch Torbay free on 08000 520 029, emailing them via info@healthwatchtorbay.org.uk, visiting them upstairs on weekdays at Paignton library, or even by anonymously rating and reviewing a local health & social care service online via www.healthwatchtorbay.org.uk.